For the past two years, Ta-Nehisi Coates has shepherded Marvel’s Black Panther series to new heights. But while his journey with T’Challa isn’t over yet, he’s just announced that he’ll be taking over another of Marvel’s most iconic comics: the adventures of Steve Rogers in Captain America. 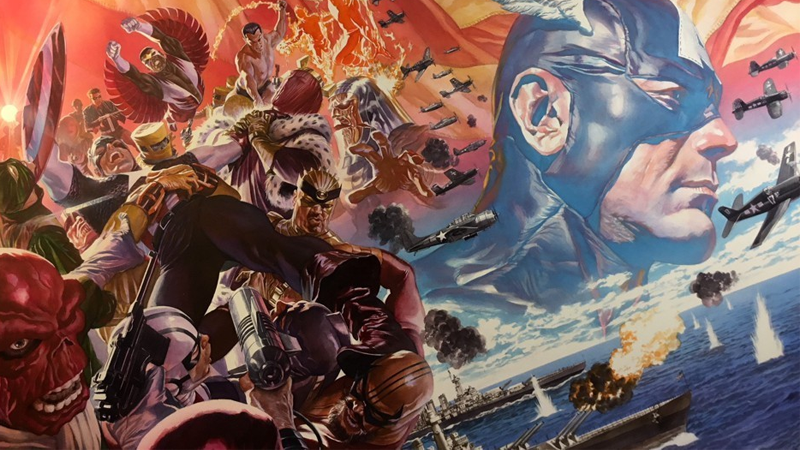 In a lengthy essay for The Atlantic, Coates confirmed that starting in July—July 4, specifically (yes, really)—he, alongside Leinil Yu on interior art and Alex Ross on covers, will be the new creative team on Captain America, relaunching as part of Marvel’s latest still-untitled roster shakeup. Coates will also continue to pen the ongoing Black Panther series with Daniel Acuña on art duties, which is also relaunching with an arc that follows up on Wakanda’s successful attempts to establish a space empire of its own. Writing is about questions for me—not answers. And Captain America, the embodiment of a kind of Lincolnesque optimism, poses a direct question for me: why would anyone believe in The Dream? What is exciting here is not some didactic act of putting my words in Captain America’s head, but attempting to put Captain America’s words in my head. What is exciting is the possibility of exploration, of avoiding the repetition of a voice I’ve tired of. If Marvel feels Captain America still needs a bit of an image makeover after the Secret Empire event/debacle—and he does—they couldn’t do better than giving the characters to a highly acclaimed writer like Coates... which is likely the point. So be prepared for Captain America to take a very intriguing direction this July.